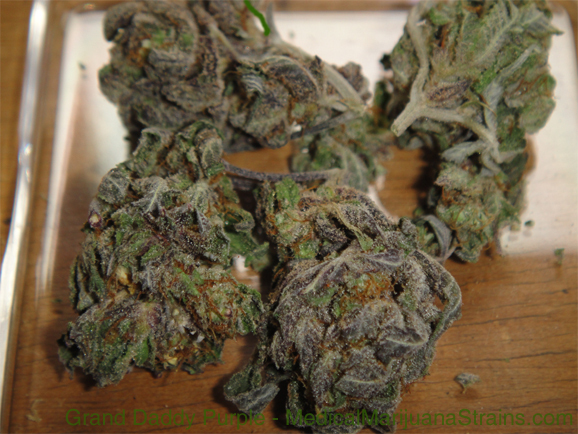 Effects: After initially smoking the Grand Daddy Purple strain, you will immediately feel the Sativa-based effects that are associated in its hybrid lineage. 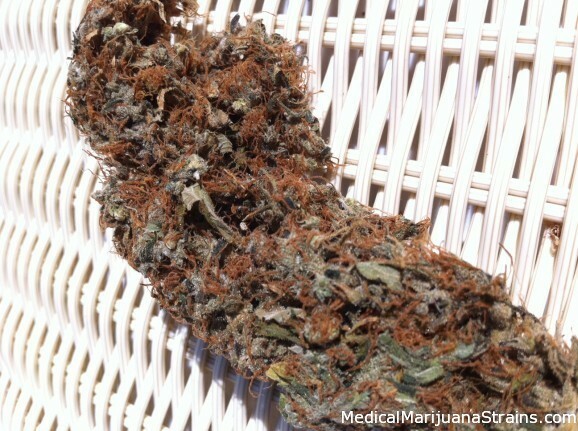 It is initially a very calming and focused high that leads you to being extremely relaxed. This is a great strain to use to unwind from a long day. 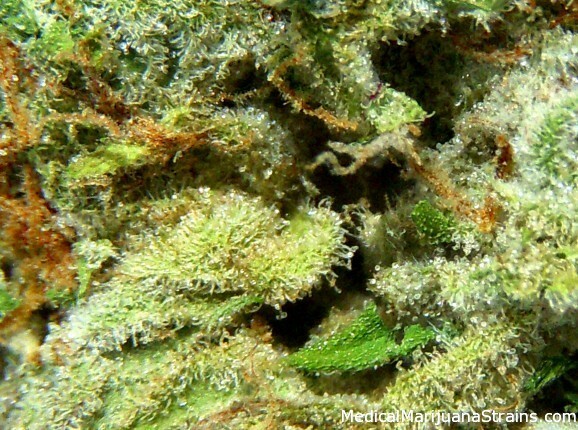 After an hour or so you begin to feel the Indica-based effects soak in and you will feel the intense body high. Type: Hybrid?/ If so Indica dominant. 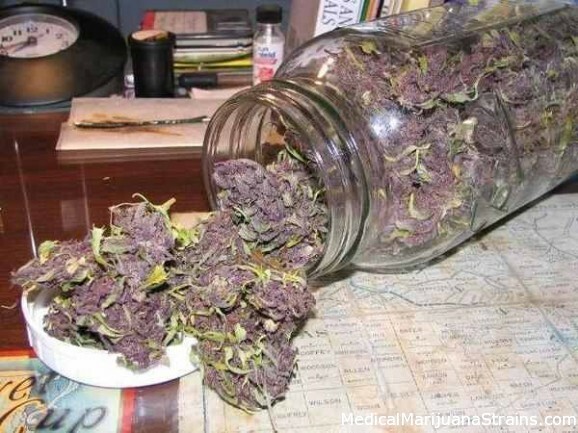 Smell: Yum; like grape Kool Aid. Taste: Solid purps from start to finish. Good Strain For: Going to sleep, passing out. 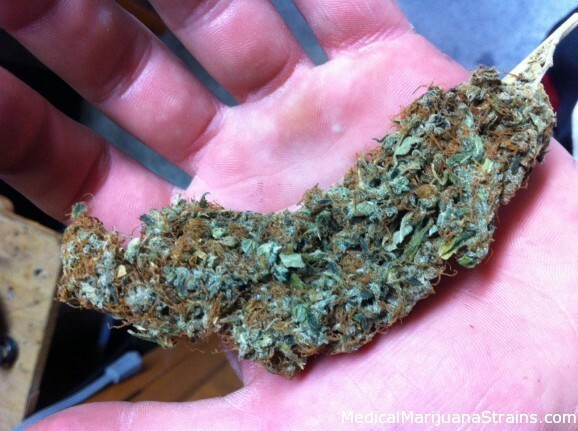 Good Strain For: Good strain to relax on a rainy day or to smoke a bowl or two and go throughout the day. 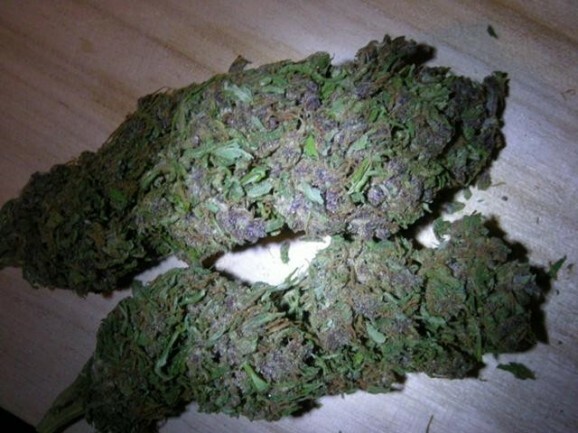 Looks: The bud is magnificent in its color it is very deep purple almost all the way except for the occasional neon green spot. If you have had GDP before you’ll recognize these colors. There is almost zero hairs on this strain but the crystal formation is awesome on that purple. 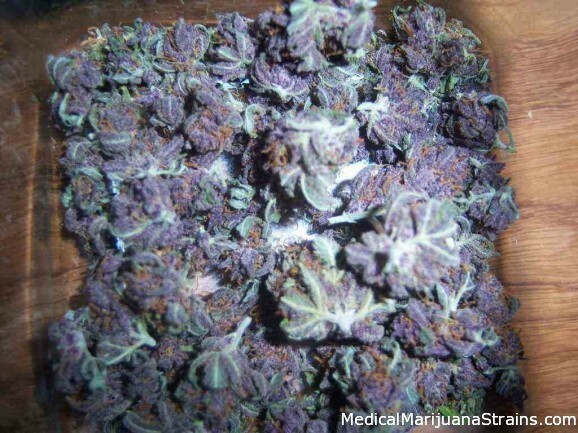 Smell: Like most purple strains the smell is nothing really amazing. It is very hard to describe the smell and quite honestly the best way to put it is if purple had a smell it would smell like GDP. There is a faint sour smell as well but its really hard to distinguish it from the purple. Taste: The taste is very smooth and somewhat spicy in a way. The taste is very short lived and has virtually zero aftertaste. 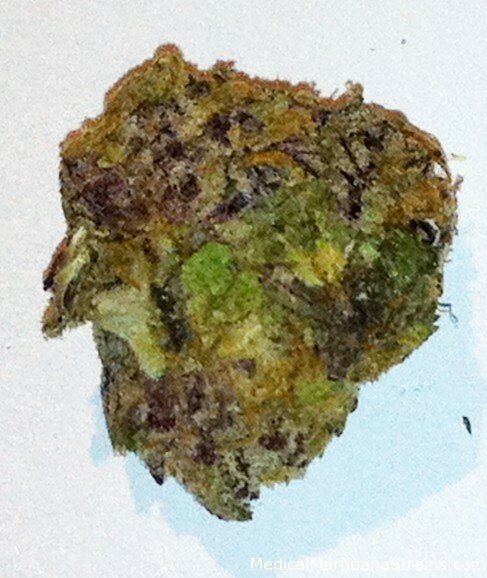 It doesn’t have a sweet taste that sticks with you like other popular purps like Grape Ape or Purple Urkle. Effects: The high is very calm and light but not so light that it doesn’t help with anything. This indica is a perfect medicinal pain reliever instead of feeling just numb like other heavy indicas it simply just makes things stop hurting and its perfect for headaches. This strain is perfect for anytime of day because while it does make you extremely relaxed it leaves you very clear headed.